¡No Pasarán! 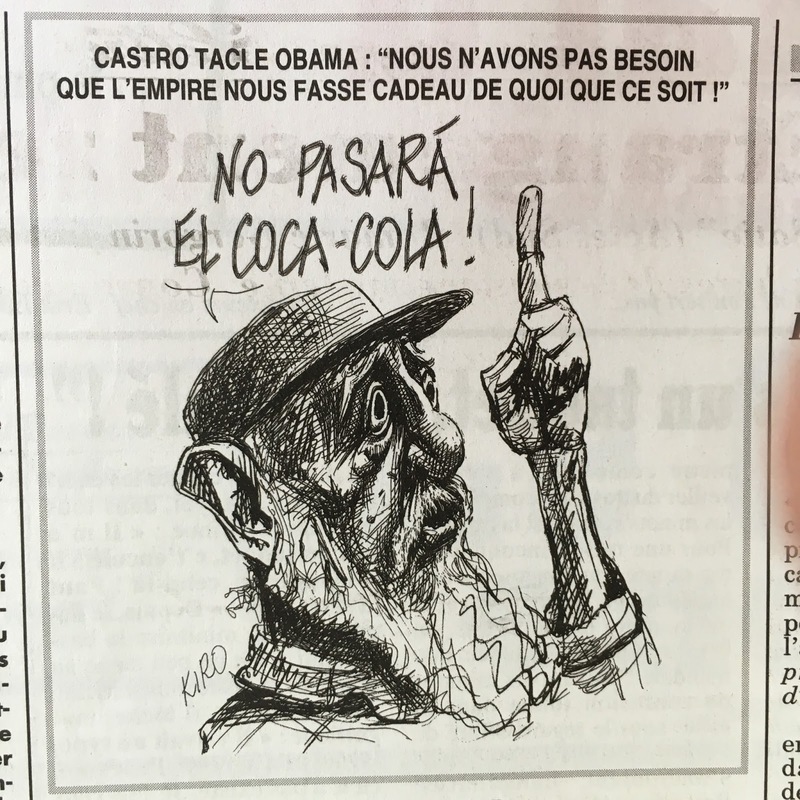 : ¡NO PASARÁ EL COCA-COLA! In the Wake of Obama's Cuba Accord, Le Canard Enchaîné Shows the Castros' New-Found Love for "the Empire"